EFN Battle of Moscow 9: Unbreakable from November 3, 2012. Vladimir Mineev vs Ali Cenik EFN 9 Dec 16, 2012 (28:08) Vladimir Mineev vs Ali Cenik at EFN: Battle of Moscow 9: Unbreakable from December 16, 2012 in Moscow, Russia. Ramazan Ramazanov vs Fabian Gondorf EFN 9 Dec 16, 2012 (19:35) Ramazan Ramazanov vs Fabian Gondorf at EFN: Battle of Moscow 9: Unbreakable from December 16, 2012 in Moscow, Russia. 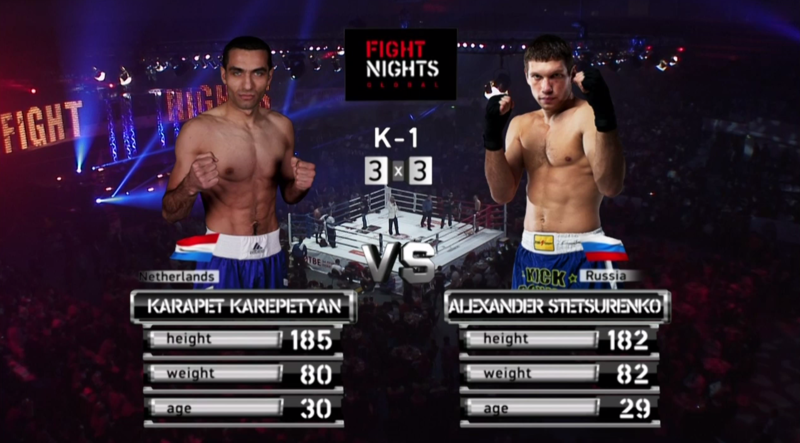 Alexander Stetsurenko vs Karapet Karepetyan EFN 9 Dec 16, 2012 (17:42) Alexander Stetsurenko vs Karapet Karepetyan at EFN: Battle of Moscow 9: Unbreakable from December 16, 2012 in Moscow, Russia. 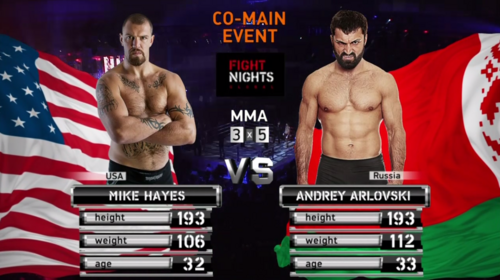 Andrei Arlovski vs Mike Hayes EFN 9 Dec 16, 2012 (26:34) Andrei Arlovski vs Mike Hayes at EFN: Battle of Moscow 9: Unbreakable from December 16, 2012 in Moscow, Russia. Ali Bagautinov vs Andreas Bernhard EFN 9 Dec 16, 2012 (9:33) Ali Bagautinov vs Andreas Bernhard at EFN: Battle of Moscow 9: Unbreakable from December 16, 2012 in Moscow, Russia. 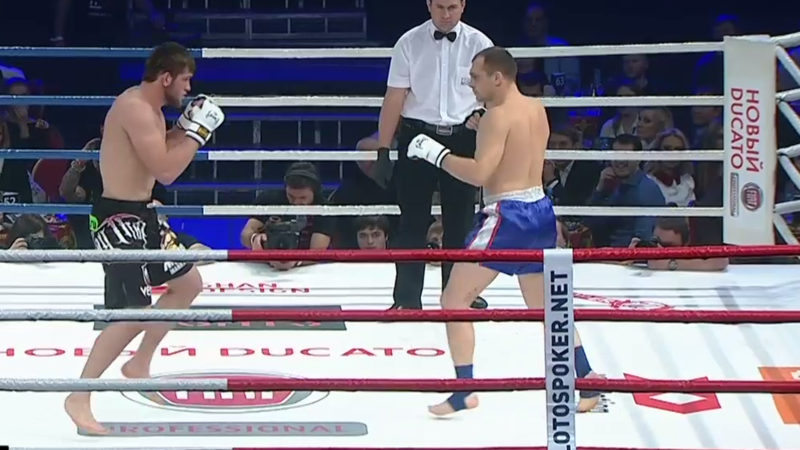 Akhmet Aliev vs Viktor Halmi EFN 9 Dec 16, 2012 (24:33) Akhmet Aliev vs Viktor Halmi at EFN: Battle of Moscow 9: Unbreakable from December 16, 2012 in Moscow, Russia. Murad Machaev vs Ivica Truscek EFN 9 Dec 16, 2012 (19:58) Murad Machaev vs Ivica Truscek at EFN: Battle of Moscow 9: Unbreakable from December 16, 2012 in Moscow, Russia. 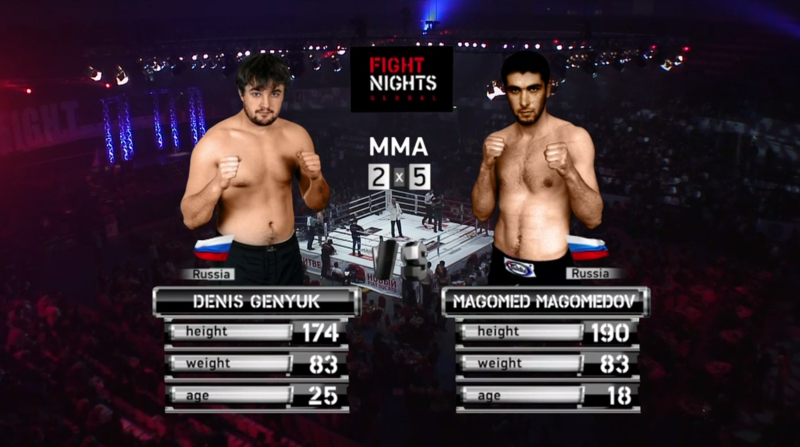 Magomed Magomedov vs Denis Genyuk EFN 9 Dec 16, 2012 (6:05) Magomed Magomedov vs Denis Genyuk at EFN: Battle of Moscow 9: Unbreakable from December 16, 2012 in Moscow, Russia. 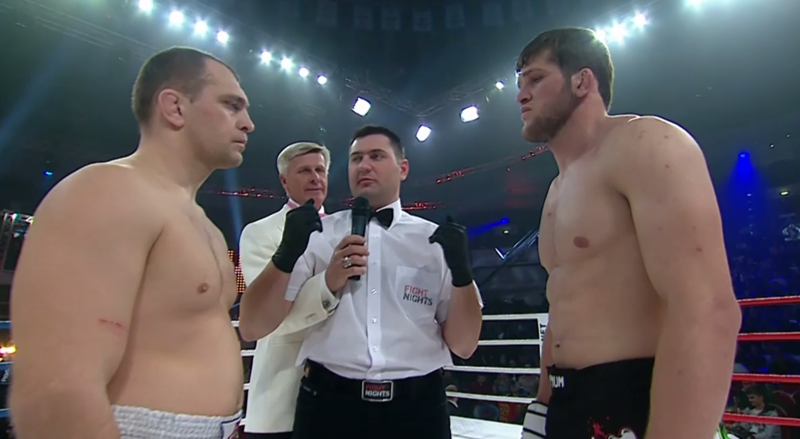 Abdul-Kerim Edilov vs Nicholas Babchuk EFN 9 Dec 16, 2012 (6:28) Abdul-Kerim Edilov vs Nicholas Babchuk at EFN: Battle of Moscow 9: Unbreakable from December 16, 2012 in Moscow, Russia. 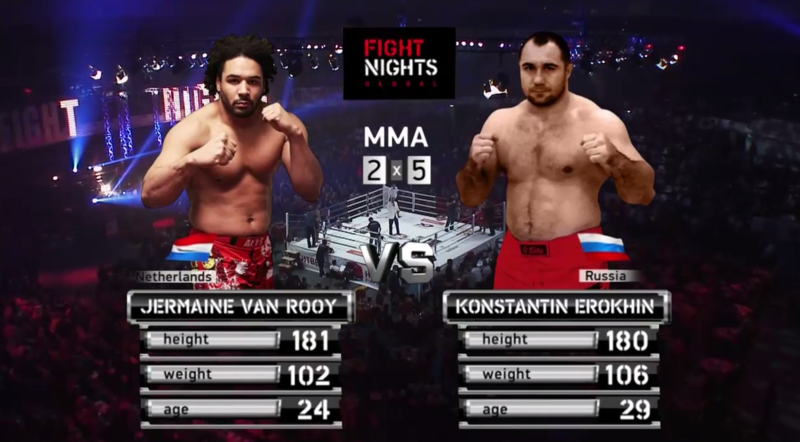 Konstantin Erokhin vs Jermaine Van Rooy EFN 9 Dec 16, 2012 (5:54) Konstantin Erokhin vs Jermaine Van Rooy at EFN: Battle of Moscow 9: Unbreakable from December 16, 2012 in Moscow, Russia.